Per The Wrap, the next Star Wars anthology film, the very film that just lost director Josh Trank, will focus on everyone's favorite Mandalorian bounty hunter: Boba Fett. While this year will see the release of the first in a series of new "Episodes" in the Star Wars saga in Star Wars: The Force Awakens, with sequel entries every two years after into 2019; 2016 and 2018 will see "anthology" spin-offs allowing the Star Wars brain trust the opportunity to tell a number of stand-alone stories set in various parts of the series' timeline. 2016's Rogue One, which centers on the Rebels' attempt to steal the plans for the Death Star, stars Felicity Jones and is directed by Gareth Edwards (Godzilla). 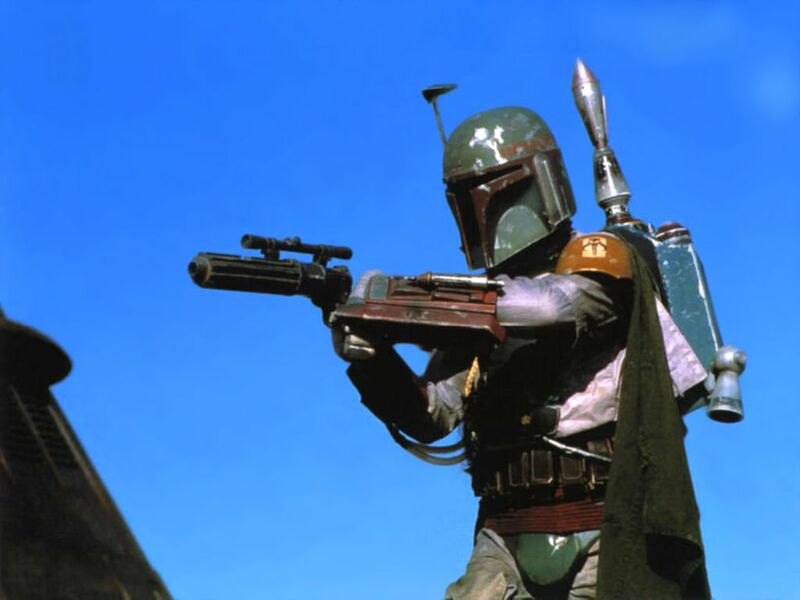 For the next entry, the focus will seemingly shift over to the world of bounty hunters and chart the rise of Fett, one of Star Wars' most enduringly popular characters. Seriously, there's tons of books and video games about the guy, and while it's been a long while since I've watched all of the original trilogy, he didn't exactly have a ton of screen-time. A cool look will take you far! Anyone have a dream Boba Fett movie director? Most creative answer will win... my eternal respect.